Okra has already become a well-known superfood against diabetes but few people know that it also fights at least three different types of cancer. 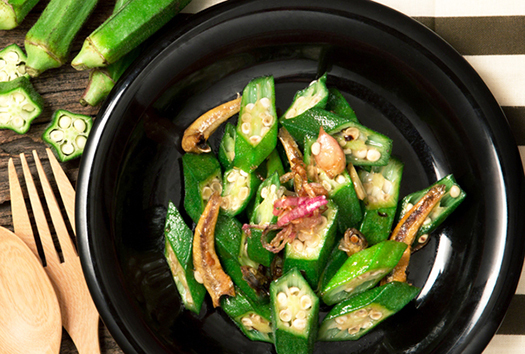 The research on okra for cancer is still very young, but researchers have observed in lab studies that it potently inhibits highly metastatic mouse melanoma cells and kills human breast cancer cells outright, while one fascinating population study has revealed that men eating okra as part of a Southern eating pattern experienced 40% less prostate cancer. A newly discovered lectin in common okra (Abelmoschus esculentus) was shown to kill up to 72% of human breast cancer cells (MCF7) in vitro, mostly by inducing programmed cell death (apoptosis). The okra lectin was also shown to slow the growth of the breast cancer cells by 63%. Note that the lectin is found in okra seeds, and researchers in this study obtained their lectin by water extraction from okra seed meal. This anti-cancer lectin was only discovered in 2012, and interestingly, also possesses anti-inflammatory and anti-nociceptive (pain relieving) properties which makes it a very interesting compound for future research. The researchers in this study noted that the lectin compound is a “potential therapeutic to combat human breast cancer.” But don’t scrape out the seeds and throw away the rest of the pod, because another component of okra also has demonstrated anti-cancer properties, namely the pectin. Okra pectin is found just under the skin of the pods, and scientists have discovered it contains very unique compounds (highly branched rhamnogalacturonans) which have never before been observed in other pectins. Perhaps it is the newly discovered compounds that are responsible for the effectiveness of the pectin against melanoma. In a recent study conducted by French and Dutch researchers, the pectin inhibited the proliferation of highly metastatic mouse melanoma cells (B16F10) by 75% after 48 hours of treatment and also increased the rate of programmed cell death (apoptosis) by nearly 23-fold. The researchers also discovered that the pectin triggered apoptosis by interacting with Galectin-3. This is a similar mechanism to what is observed with the well-known compound Modified Citrus Pectin, and it is very interesting that okra pectin does not have to be modified in any way to have this effect. The two studies above show clearly that two different components of okra (pectin and lectin) have potent anticancer properties, therefore as usual, we are probably better off consuming the entire edible portion of okra if we want to maximize its anti-cancer benefits. Have any actual benefits been observed in human populations? Yes. A recent cohort study carried out in the United States found that men eating a Southern dietary pattern (characterized by eating okra, grits, cornbread, beans, rice and sweet potatoes) experienced 40% less prostate cancer than those not eating such a diet. Although the result bordered on statistical significance, this was a fair-sized study which followed nearly 3,800 men for ten years. What is truly fascinating about this study is that, apart from okra, beans and sweet potatoes, the Southern eating pattern was actually not a very healthy diet, and contained high portions of red meat and bacon which are both known to increase cancer risk. Moreover, the Southern eating pattern protected men from prostate cancer much more than a vegetable and fruit rich diet did, even though it contained 24% less fruit and vegetables (29 servings weekly on the Southern diet vs. 38 servings weekly on the fruit & vegetable rich diet). 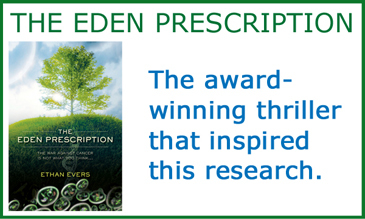 Was okra the key anti-cancer factor in the Southern eating pattern? Only future research will tell. In the meantime, okra is a healthy food which is already widely consumed around the world. It may help in treating diabetes, and now latest research tells us it may give protection from at least three different cancers. Okra may therefore be a very important part of a well-balanced healthy diet, which should already contain a wide variety of vegetables - and plenty of them.